You know, there are sites and structures in Ireland that have been in use for ritual purposes for over 5ooo years. That makes these places older than the pyramids of Egypt, or Stonehenge or many famous historic sites around the world. Not only are these places to be found dotted around this island, many of them can be freely accessed after a short walk. Last week I visited one such site, a passage grave in Co. Armagh. I loved this walk, which I completed on Friday 12th of February. 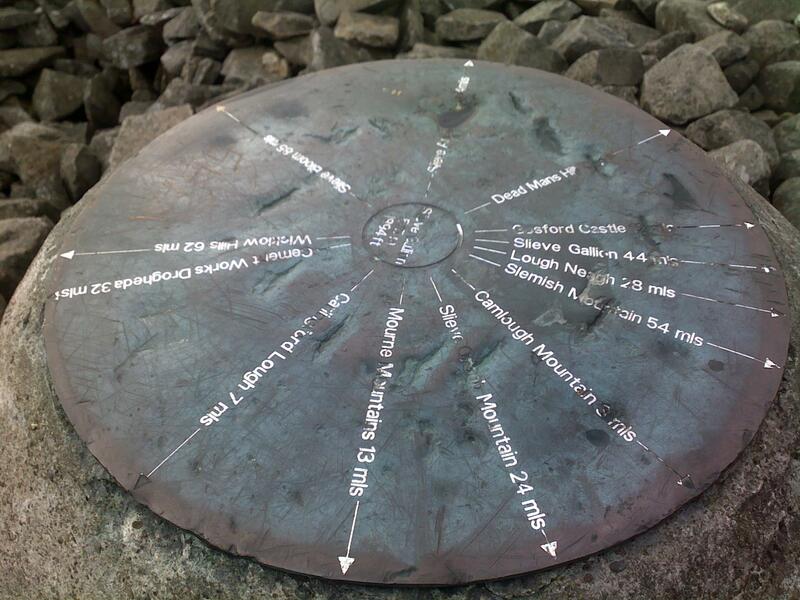 Slieve Gullion is located in a forest park of the same name and is accessed along the ‘Forest Drive’ which is a one way loop over a narrow road that climbs high up the hillside and offers amazing views towards the south and east. Even if you never walk up the hill the drive alone would make a lovely 30 -40 minute side trip from Newry. On the day I went up I saw just two people during the couple of hours I was there, so I had the whole hill to myself. It felt a little eerie to be honest. Partly because there was near perfect silence. I also carried some practical anxiety because the area has an unfortunate history of cars being tampered with, aided by the one way system which allows gurriers to tell each other when the coast is clear. I figured I had the place to myself so I parked up right beside the start of the track up to the summit. Once I set off the path was soon gaining height with expanding views towards the south of the country. The track is well-worn and easy to follow as it winds up the hill, passing two stone shelters along the way. After about half an hour of fairly steep walking I reached the top where Ireland’s highest megalithic tomb can be found. It’s awe inspiring to crouch down and enter this tomb, and think of how people, including one Mr Finn McCool, have been visiting this hilltop and many other sites in the vicinity for the last five thousand years! Two pillars are located on top of the burial mound, one of which giving direction towards the sights that can be seen on clear days, ranging from the Slieve Bloom mountains in the centre of Ireland to Slemish in Antrim. The day I visited was a little hazy, though I could still see the Mournes, the Cooleys and Lambay Island way off in the distance. After my look around the summit I followed the path back down to my (untouched) car and was on my way within a half hour or so. The loop road continues on around the hill for a mile or so before doubling back and dropping down towards the farmland below. A ten minute drive back to the roundabout outside Newry and I was cruising for home. To learn more about the tomb which is called Calliagh Berra’s House, you could start with megalithomania.com! Hi Murray, as you seem to have a taste for Irish history and mythology you should really try the longer walk. It offers an oportunity to visit killeavy Churches- a monastic site founded in the 5th Century and several other prehistoric monuments as well as passing the shores of Cailliagh Beara’s lake. 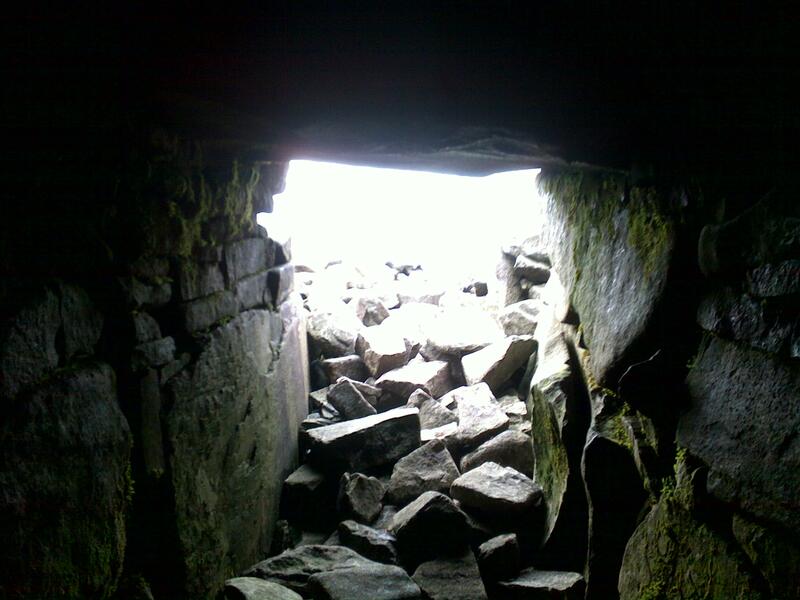 Gullion is a magical place and well worth spending the whole day. Saying that the short walk to the summit is a great way to blow the cobwebs away if time is short.